The newest color-saving line from Paul Mitchell is Ultimate Color Repair: a shampoo, conditioner, and thermal protection spray system to lock in hair color and reverse signs of damage. Reparative quinoa blends with natural extracts and antioxidants to shield hair color, prevent future damage and guard against UV rays. 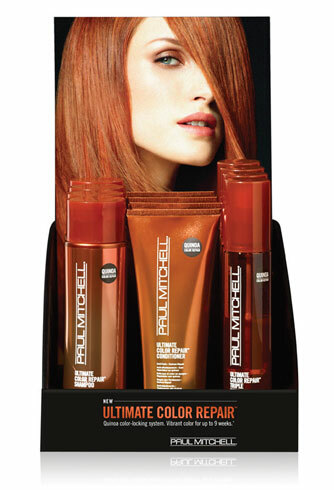 For more information visit paulmitchell.com.